John Stinson Tahl, age 91, of Oswego, Illinois, went to be with his Lord on Tuesday, January 22, 2019. He was born on August 22, 1927, in Brooklyn, New York, to Alfred Robert Tahl and Marjorie (Remer) Stinson Tahl. A WWII Veteran, John served his country with honor as a Navy Corpsman. After the tragic death of his first wife, Doris Lee Stone, in 1957, John opened his heart and life to Christ. Seeking to learn and grow in his new faith, he moved to Chicago to attend Moody Bible Institute where he met his true love and lifetime partner, Barbara Elaine MacDaniel, a lovely registered nurse from London, Ontario. They married on September 1, 1963, and moved to Elmhurst, where they raised their three daughters. After graduating from Moody, John continued his education at Wheaton College and earned his Master’s Degree in Christian Ministries. John’s life revolved around his faith in Christ. For thirty years, he served as Assistant Director of the Practical Christian Ministries Department and taught various classes at Moody Bible Institute, before retiring in 1993. In the 1970’s, John helped launch the Evangelism Explosion Program at Calvary Memorial Church in Oak Park, IL. His heart for evangelism continued after his move to Oswego, and even up until his final moments. John also enjoyed leading men’s discipleship groups, and serving in various capacities at his local church. In addition, he had the privilege of being a part of several short-term mission trips to Japan, Hawaii, Spain, Morocco, Salt Lake City and Florida. John would regularly be seen with a tract (which he had written) in the front pocket of his dress shirt, as he hoped for an opportunity in his day to share his faith with a stranger. His gentle spirit, warm smile, endless energy and obvious love for other people earned him many dear friends. He was a model of a humble servant, faithfully caring for his loving family and graciously mentoring those in need. He will be sadly missed by his loving wife of 55 years, Barbara Elaine Tahl, daughter Carole (Peter) Kanetis, daughter Christine (Marc) Hoeksema, daughter Caryn (Mike) Borowski, grandchildren John, Andrew, Elizabeth, and Katherine Hoeksema, grandchildren Abbey, Emma, and Avery Borowski, and beloved older sister Carolyn Eleanor (Tahl) Price. John is preceded in death by his brother, Robert Maxwell Tahl. Visitation will take place from 3:00 P.M. to 7:00 P.M., Sunday, January 27, 2019 at DUNN FAMILY FUNERAL HOME, 1801 S. Douglas Rd., Oswego, IL 60543. Oswego, IL at 11:00 A. M., Monday, January 28, 2019. A private burial will take place at Abraham Lincoln National Cemetery in Elwood, IL, with military honors by the United States Navy. In lieu of flowers, please consider donating in John Tahl’s name to Evangelism Explosion, P. O. Box 753, Arden, NC 28704 or Moody Bible Institute, 820 N. LaSalle St., Chicago, IL 60610. To send flowers or a remembrance gift to the family of John Stinson Tahl, please visit our Tribute Store. 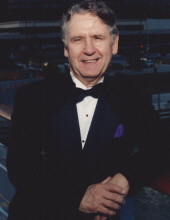 "Email Address" would like to share the life celebration of John Stinson Tahl. Click on the "link" to go to share a favorite memory or leave a condolence message for the family.